I walk into my local bike store and talk to the mechanic who knows I do tank maintenance. He says he just read something about this guy in New York who has a 43 year old tank and then tells me how he used to have a 'reef' tank back in the mid 80's. He says he just read something about this guy in New York who has a 43 year old tank and then tells me how he used to have a 'reef' tank back in the mid 80's. I get that a lot. "Are you the bald guy with the old fish tank"? I once saw a part that was designed to reverse the flow of an undergravel filter. Don't know if they still sell it. I invented my own part but many powerheads are reversible. Last night I collected some scurvy seaweeds, algae and muck from the side of a wooden dock on the south side of Long Island. It is now suspended in a net in my tank as I just want the bacteria and amphipods but not the slimy looking algae. This is another one of my methods that purists will say is going to crash my tank due to parasites, anthrax, Godzilla fry, invasive algae, etc. My tank depends on these infusions as I think bacteria is necessary and I also feel that it gets stagnant if you just have bacteria from a LFS. Of course this is also just something that bounces around in my head and may be completely wrong. Very interesting. Thank you for sharing, sir. Thank you for calling me "Sir"
I dont want to sound creepy or anything, but after about 10yrs in the hobby and reading many of Pauls awsome posts, I always kinda wondered what you looked like. Thank you Paul for your many years of contributions to the hobby! Me and Tom Sellick are twins. Even our Mother can't tell us apart. 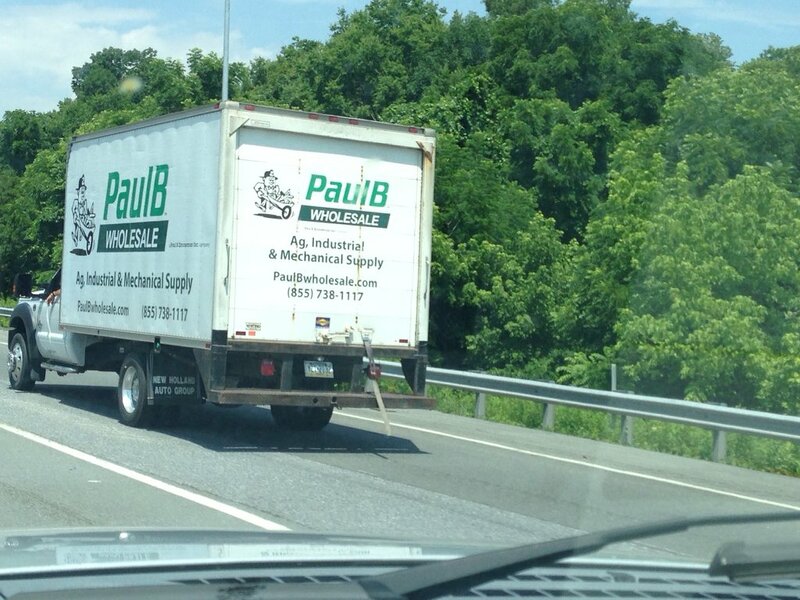 Paul, how did you get convinced to ditch the whale oil lamps and switch to LEDs? Paul, who convinced you to ditch the whale oil lamps and switch to LEDs? Also, when did you incorporate jump starting your tank into regular maintenance? The whales didn't easily give up their oil which they use to lubricate their eyelids so i had to switch to LEDs as lightning bugs put out the wrong spectrum. My regular maintenance is just that, making a typhoon. How many people have older tanks and don't make typhoons? Raise your hand. Pumping water from underneath a gravel substrate will prevent detritus form building up. I actually tried a UGF on a marine tank and it worked okay for a while but the flow was not strong enough and I just ended up taking it out. You are thinking incorrectly. I don't feel that detritus is a bad thing and the only reason I want to remove "some" of it is so my gravel does not clog. But I want some detritus in there as it slows down the water allowing some denitrification to occur. My RUGF runs very slow so it won't push anything out of the gravel. The people whose tank crashed is because they didn't have a RUGF. They can't crash no matter how much you stir them because water is always flowing through them. I have no doubt you know exactly what you are doing with your RUGF. It seems to work incredibly well but people without any UGF have seen sand beds get too much detritus, get stirred up and cause a fish killing cycle. This scenario has played out too many times. I vacuum both sw and fw beds with every wc, most times weekly. If I didn't do this weekly, I'm sure I'd have problem with a bacteria bloom or a mini cycle. I'm assuming Pauls use of a diatom filter the same time he is vacuuming his bed has to do with his success. It seems to work incredibly well but people without any UGF have seen sand beds get too much detritus, get stirred up and cause a fish killing cycle. This scenario has played out too many times. This is a pretty vague statement. Paul has been successful with his RUGF because he does it routinely, which keeps detritus from building up. I would even venture to say that he probably does one of his quarterly water changes after he runs it. Dam, How did you know I was going to say that? I guess I can't say exactly how many tanks have crashed due to detritus laden sand beds getting stirred up but based on the reports I've read it does happen. Someone here on Wamas saw a 260, I think it was, crash for this reason. Maybe it was caused by not having enough flow or they over-fed. I disagree though that excellent flow is somehow a garantee that your sand bed will never get more detritus that it can process. (I personally have never had a tank crash --yet, knock on wood, rub my rabbit's foot and blow on dice.) My point though was that Paul's RUGF makes a detritus storm unlikely and is possibly better than the potential danger of a sand bed. There was an article by Dr Shimek in coral magazine a couple years back about leaving sand beds alone to do there job. He did mention you need some level of detritus in the sand to help the nitrification process. I think detritus is very overrated and I really don't think it contributes to anything, good or bad. Actually I think it is more good then bad. It is the end product of nitrification and decomposition composed mainly of discarded, pod shells and dead bacteria. So you may not like looking at it, but it doesn't like to look at you either. 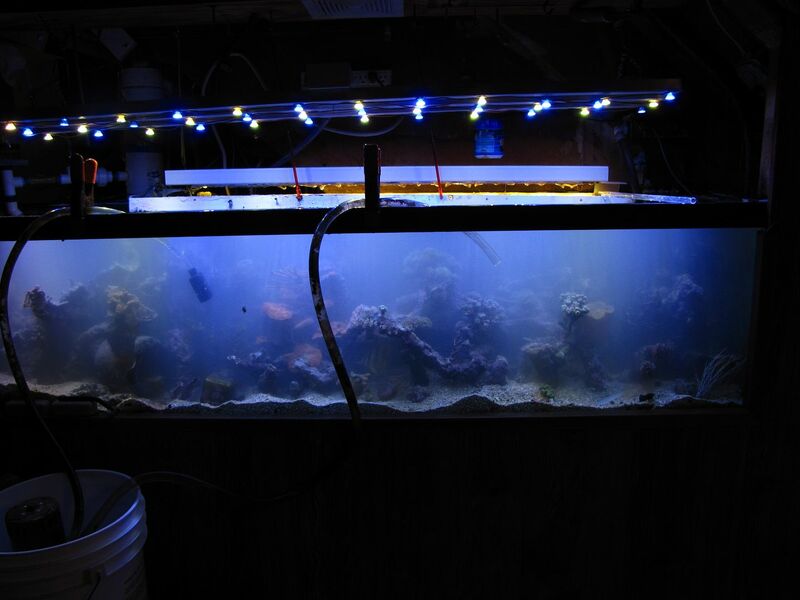 I think the biggest problem in reef tanks by far is incorrect food and not a problem of parameters unless people tend to tweek their tanks and chase numbers. There are so many threads asking for help with their parameters when if they just changed their water and walked away. The water you add to your tank already has everything in it in the correct proportions so you don't need to mess it up by adding things. The corals use a little calcium and that's about it. In 60 years of this I have never had to change my pH, not even once. I also never crashed a tank and never lost all the corals to a parameter problem. Ich, hair algae and parameter problems are the biggest causes of loss of aquatic life and they all can be very easily avoided for practically free but it seems that many people like to give themselves problems. I had nothing to do and I am still experimenting with this stupid camera. I will perfect it some day.